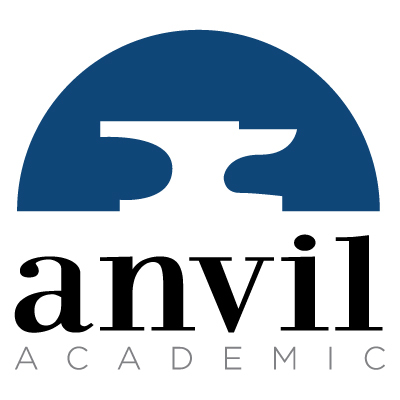 Since June, I have been working as program manager of Anvil Academic, a new all-digital, open publisher for the digital humanities. Over the past four months, we’ve built a stellar editorial board, met with our advisory board and with colleagues at the University of Michigan’s MPublishing, done some preliminary work identifying potential publications, and developed a web site in partnership with Interactive Mechanics. I’m pleased to announce that our web site is now publicly available and that Anvil is officially launched. Like Anvil itself, we expect that the web site will undergo significant changes; for now it functions mainly to promote our vision and to offer basic information for potential authors. In the coming months, it will provide an access point for our publications. So what sort of publications will Anvil produce? Anvil focuses on born-digital humanities scholarship that could not exist in print form, such as works that are built upon rich collections of data and offer tools for analyzing and exploring that data; multimodal compositions that incorporate audio, video, images, simulations, and/or other rich media; works of networked authorship, which engage the community in ongoing online conversation; and flexible, interactive educational content. But we are open to forms and genres beyond what we’ve identified here. In evaluating potential projects, Anvil will consider factors such as their quality, contributions to scholarship, technical robustness, level of innovation, and likely audience. Please get in touch with Fred Moody, Anvil’s editor, if you would like to discuss a potential project. Anvil has the potential to make a significant contribution to the humanities and to academic publishing. It addresses the need to bring publishing services such as peer review, distribution, and editing to the digital humanities. I hope that Anvil will help to increase the visibility and credibility of digital humanities scholarship and perhaps assist the field in continuing to develop argumentative and interpretive frameworks. Since I’ve had a long-standing interest in open access publishing models for the humanities, I welcome the opportunity to help build the structures to support open scholarship. I see open access as an ethical obligation, a means to increase the value and visibility of humanities scholarship, and an opportunity to foster scholarly conversations with diverse, engaged communities. As a start-up, we have latitude to experiment with different dimensions of publishing in a way consistent with the values of the digital humanities, including peer review (open, peer-to-peer, hybrid), business models, genres, etc. We plan to share the results of such experiments. If you’d like to learn more about Anvil, please participate in a Twitterchat with me (@lisaspiro), Fred Moody (@moodyfred), and Korey Jackson (@koreybjackson, Program Coordinator and Analyst) on Friday, October 5 at 12 EDT; we will be using the #anvil hashtag. The Twitterchat will be facilitated by editorial board member Adeline Koh (@adelinekoh), who recently wrote two ProfHacker pieces about Anvil: an introduction to Anvil and an interview with Fred Moody. Of course, I also welcome questions and comments.